The long-staple cotton sateen fabric has a satin-like softness, sheen, and drape. 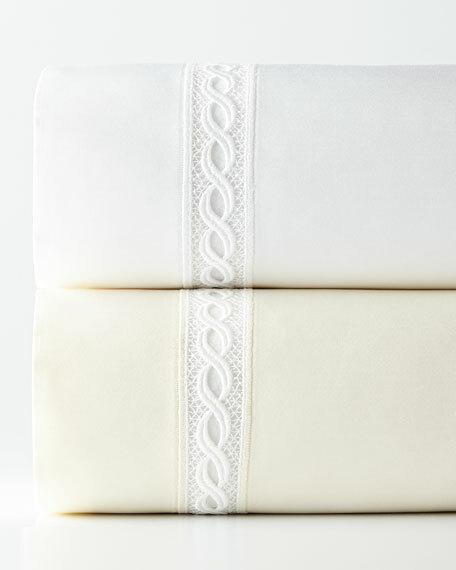 1,020-thread-count, extra-long-staple cotton pillowcases woven in Italy have cable lace insets. The sateen fabric has a satin-like softness, sheen, and drape. 1,020-thread-count sheets woven in Italy have cable lace insets. 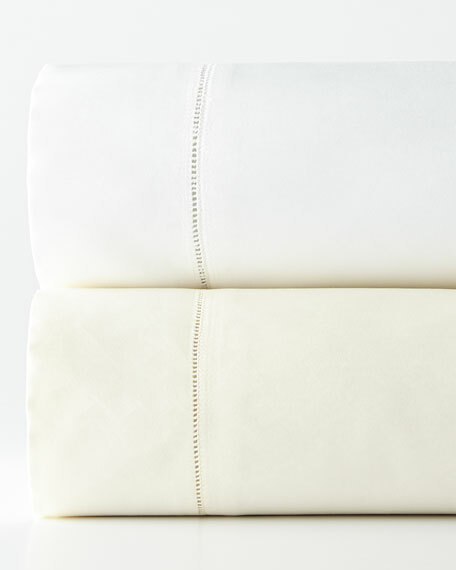 1,020-thread-count, extra-long-staple cotton sheets woven in Italy have cable lace insets.